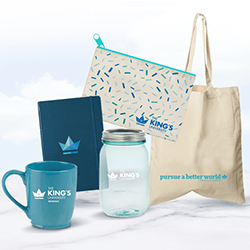 An unparalleled selection of products, a powerful online employee incentives platform and a dedicated team to support your every need. 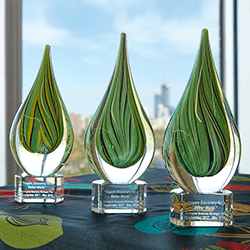 Regardless of your company size, consistent use of recognition and rewards throughout your organization is instrumental to its success. 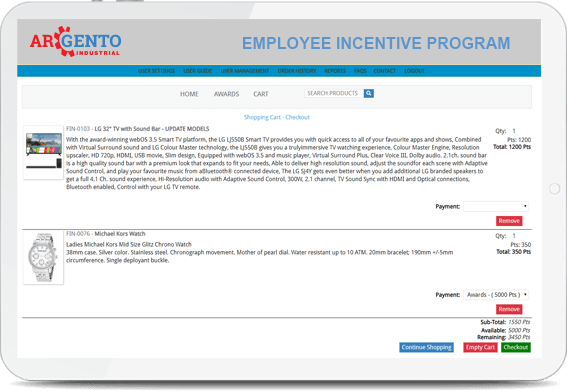 We make it easy for your HR, safety, sales and marketing managers to accomplish and exceed their targeted goals through our online Employee Incentive Programs. 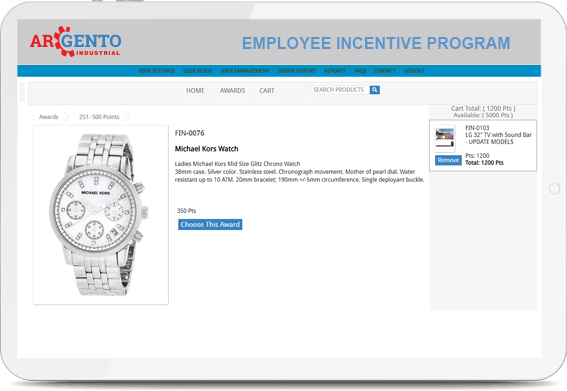 Whether it’s to improve and reward safety or to increase sales, many successful organizations are choosing to implement Employee Incentive Programs. By motivating and rewarding staff who show consistently high levels of achievement, you can experience substantial improvements in attitude, morale, and participation in company initiatives. 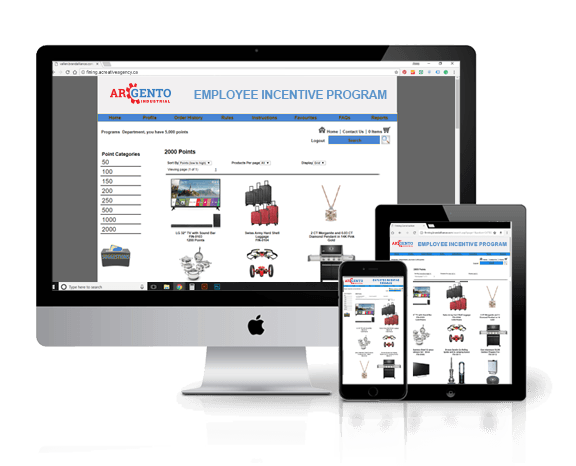 No matter what device you are using, your Employee Incentive Program will be OPTIMIZED for its size. 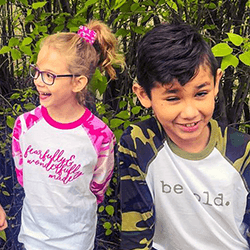 can redeem for a reward of their choosing. We work with you to create a points system that supports your budget and overall objectives. We also help you choose the products that will be most appealing to your staff based on their demographics and preferences. 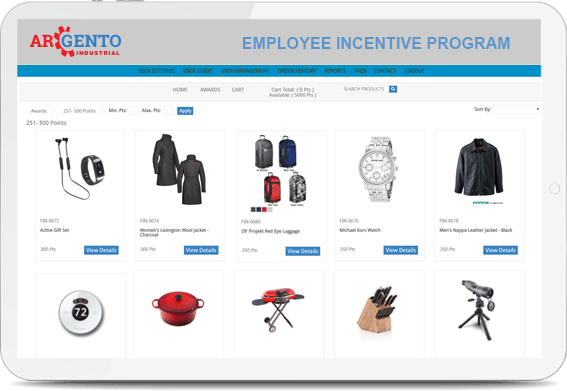 With the right products, points system and customized branding in place, your employees will be motivated to reach your goals and they will have fun doing it! We’ll Help You Get the Program Up And Running And Can Ensure Effective Communication! Your employees need to understand why the program is being implemented, the rules and how it works. They need to be continually reminded about your incentive program, the reasons for it… and generally be excited about achieving their goals! 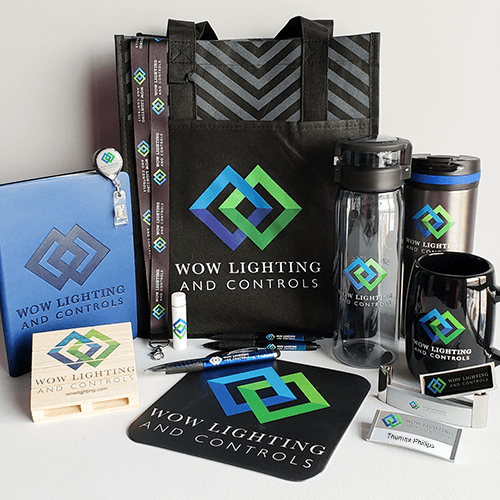 We can help you create a marketing communication plan and generate interest, using print material, email campaigns, mail outs, promotional products, etc. When the Human Services Recognition Committee met last, we were having conversations about some struggles we were having, some frustrations we are facing and some of the things that were going well. What became clear to the whole committee is that you are one of the reasons when things go well. The committee identified how prompt and patient your agency is when it comes to responding to people. You always address our concerns right away and from my own perspective, you are great at troubleshooting issues. Our team members really appreciate the service that you are providing to us and the great attitude you show while doing it. Your professional care is always apparent, no matter what we throw at you. On behalf of the Human Services Recognition Committee, thank you for your ongoing support of our programs. of senior managers view recognition programs as an investment rather than an expense. Organizations with low employee engagement averaged between 31-51% higher turnover. Engage and motivate your employees to achieve targeted goals and reward them with genuine, meaningful rewards that are worth achieving. 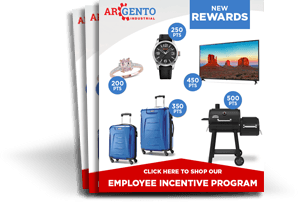 Employee Incentive Programs show the employees that the management is paying attention and they are a great public relations tool for the organization!